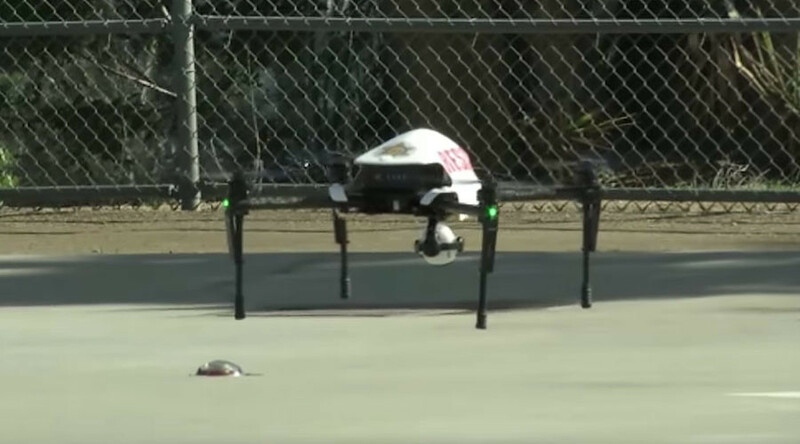 Connecticut is taking steps to become the first state to allow law enforcement to use drones capable of deadly force, following the release of viral videos that featured weaponized UAVs. Legislation regulating drone use in Connecticut breezed through the state House Judiciary Committee this week and now heads to the entire House of Representatives for a future vote. If passed and signed by the state’s governor, House Bill 7260 would make Connecticut a leading example for states attempting to arm law enforcement with drones capable of utilizing deadly force. Only North Dakota currently allows armed drones for its law enforcement agencies, but the state requires “less than lethal” weaponry such as a stun gun. The legislation outlines felony punishment for anyone outside of law enforcement who is caught with an armed drone or similar technologies. The state NAACP is opposed to the bill on grounds that law enforcement may abuse such weaponized drones, the Associated Press reported. The ACLU of Connecticut also opposes the bill. 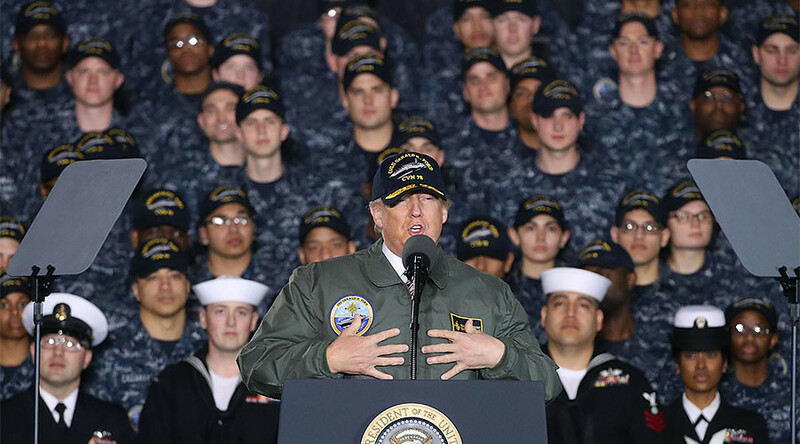 “We’re not in warfare here,” said David McGuire, executive director of the ACLU in Connecticut, according to WCBS. Similar legislation to regulate drones in the state failed in 2016. The effort comes in response to high-profile videos by a Connecticut man posted to YouTube last year. In one video shot on private land, college student Austin Haughwout demonstrated that a quadcopter could easily be adapted to carry and shoot a pistol. Police investigated the incident, but determined that no law was violated. 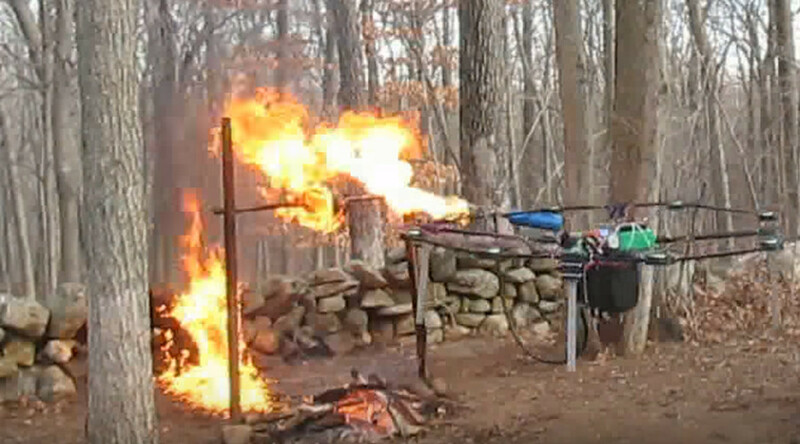 In the second video, Haughwout rigged a flamethrower to a drone in order to “roast a turkey” in a wooded area. This video further motivated authorities to address weaponized drones. "This is a bill, a bill giving a solution to a problem that simply doesn't exist, it's in search of a problem," Haughwout testified before lawmakers last year, according to WTIC. "It's already illegal to assault, it's already illegal to murder, it's already illegal to recklessly endanger the public." The videos also caught the attention of the Federal Aviation Administration. Last year, a federal judge ordered Haughwout and his father to comply with a subpoena over the drones shown in the clips. The pair had originally refused to cooperate with an FAA investigation. Haughwout was eventually expelled from Central Connecticut State University for allegedly threatening to shoot people at the school, a claim the young man denies. 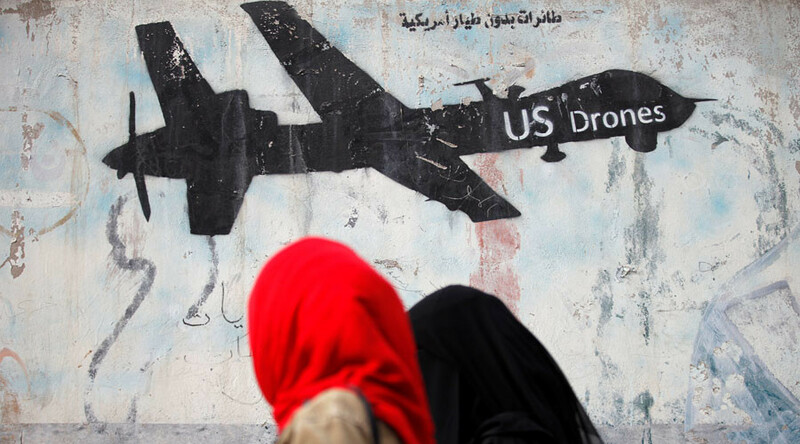 Drone use to control populations is a trend passed from US military counterterrorism operations to American law enforcement agencies, says Hamid Khan, an organizer with the Stop LAPD Spying Coalition, which has advocated against drone use by the Los Angeles Police Department. The topic of weaponized drones was featured this week at a security conference in Washington.